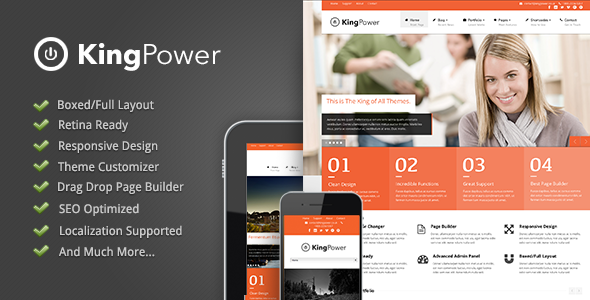 King Power is a super premium multi-purpose Wordpress theme. 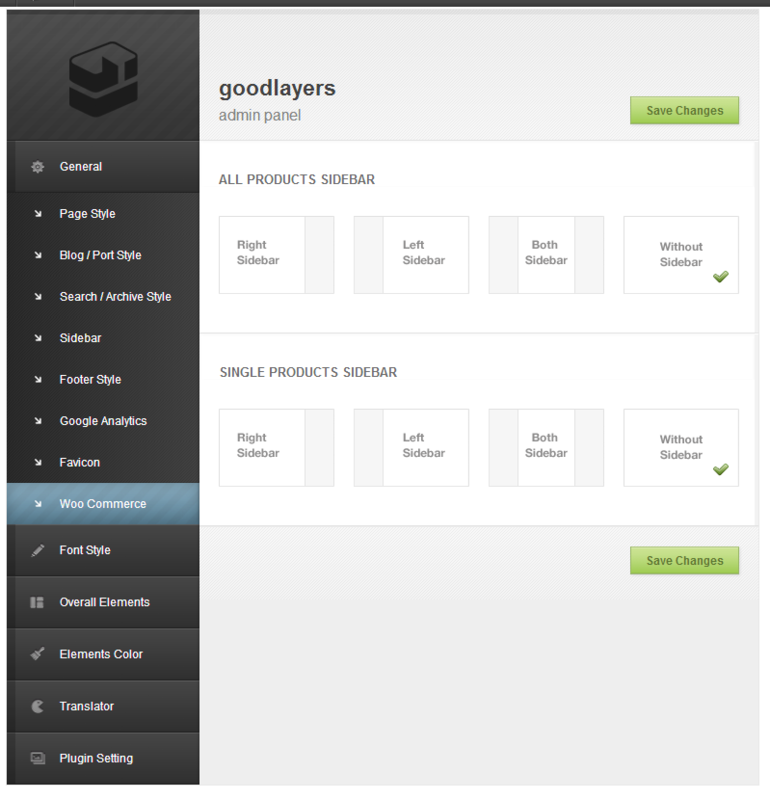 It’s clean, responsive with retina ready design. 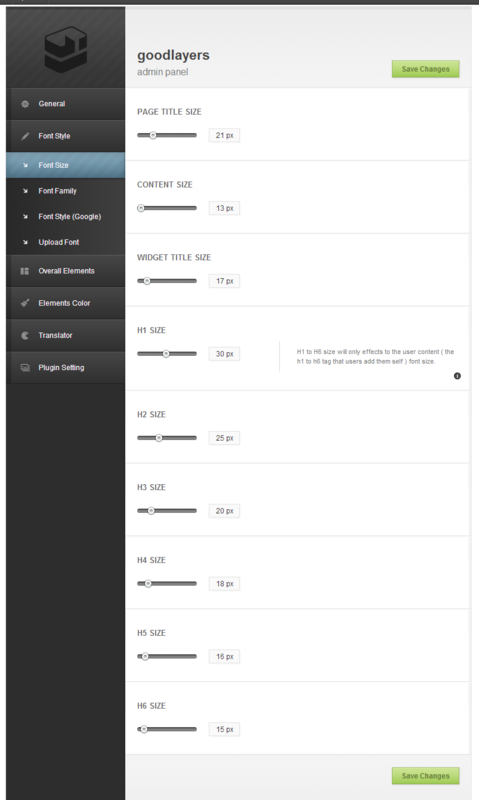 You can also switch the content layout to Boxed/Full style easily via admin panel but not only the content layout, you can also choose Boxed/fFull style for slider layout separately from content area too. 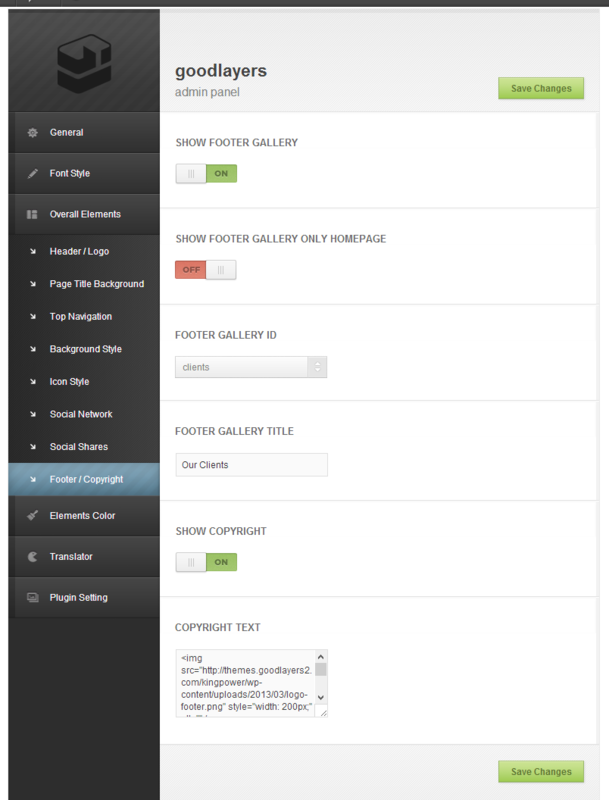 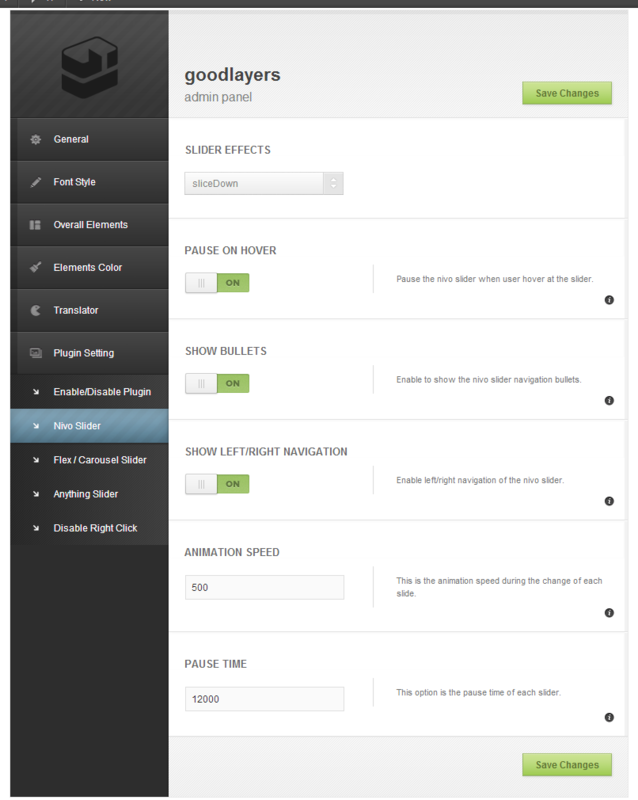 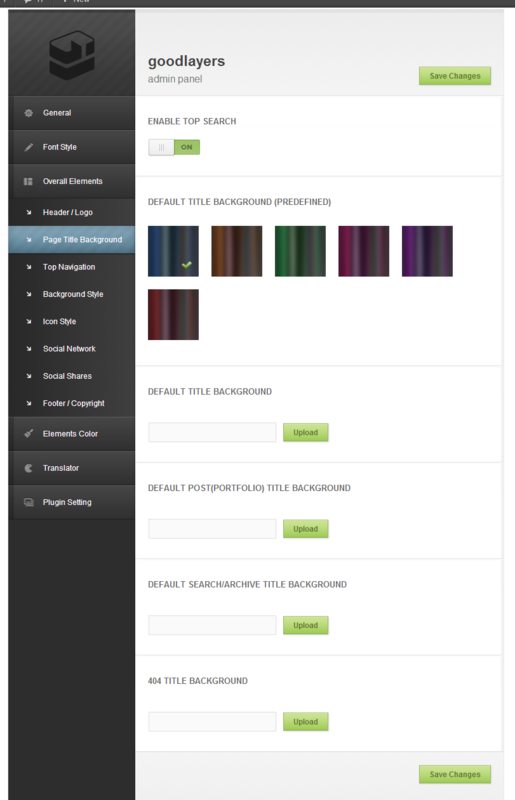 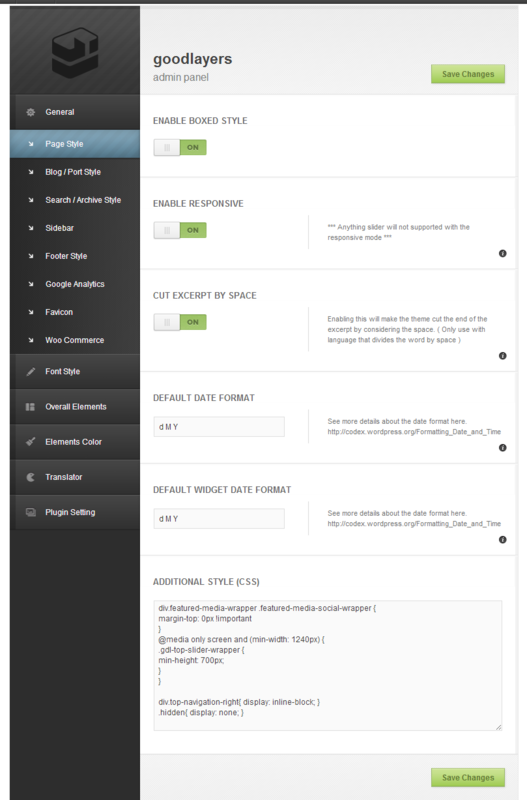 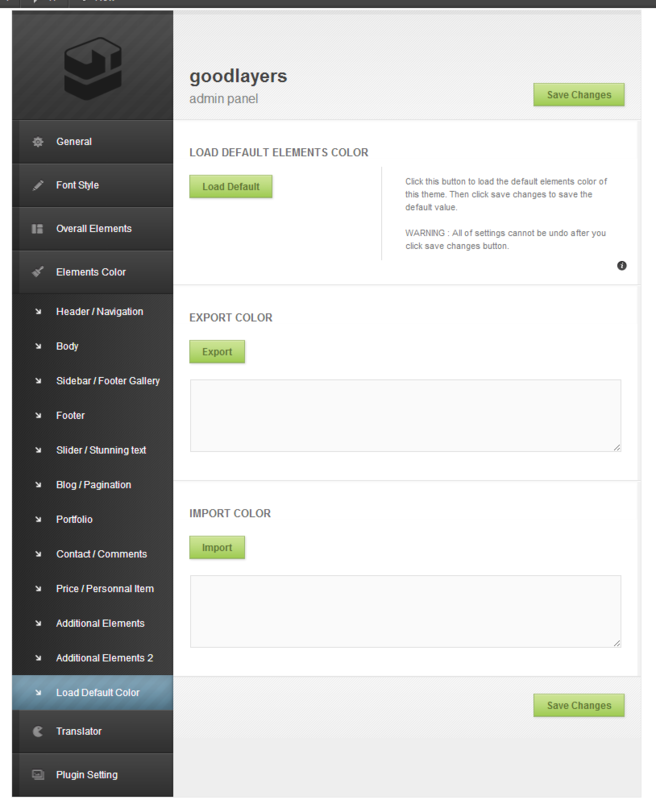 This theme also supports theme customiser which allow you to change theme element’s colour in the front end. 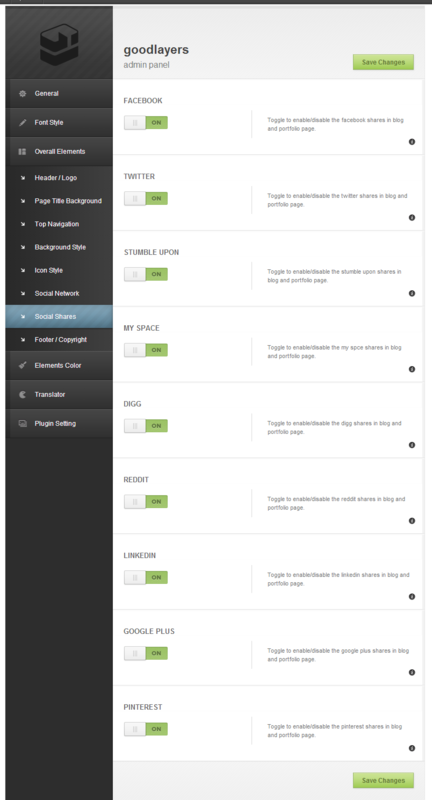 More over, admin panel and page builder in this theme is the best one. 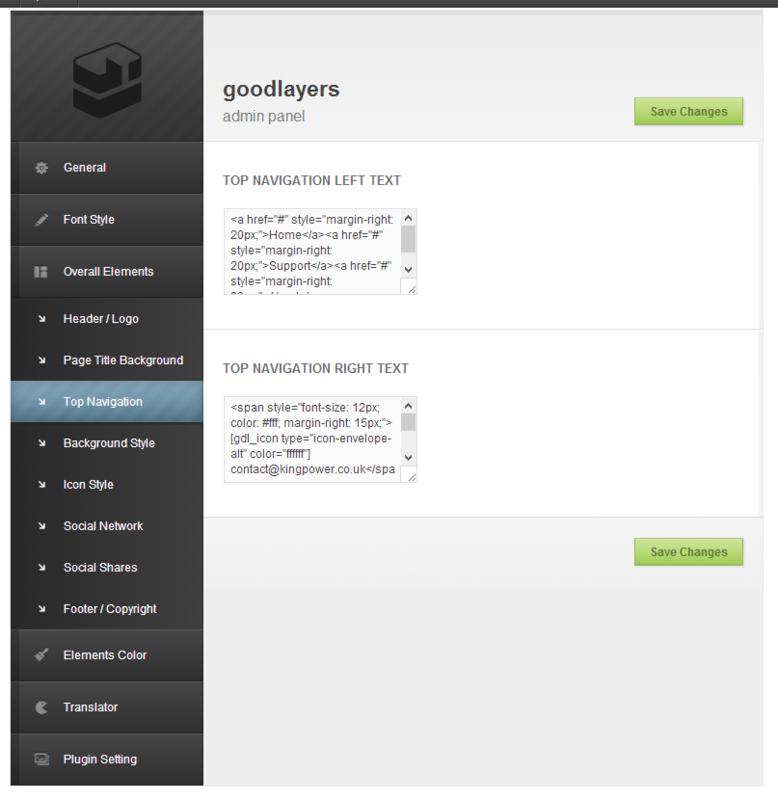 You will discover tons of feature in those tools. 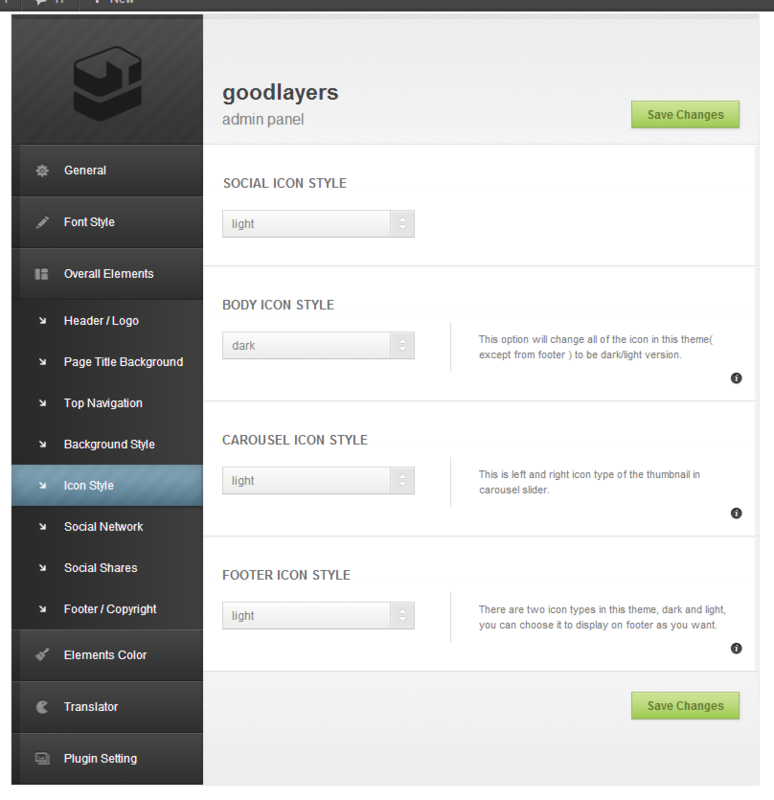 With this theme you can have endless possibilities for your website. 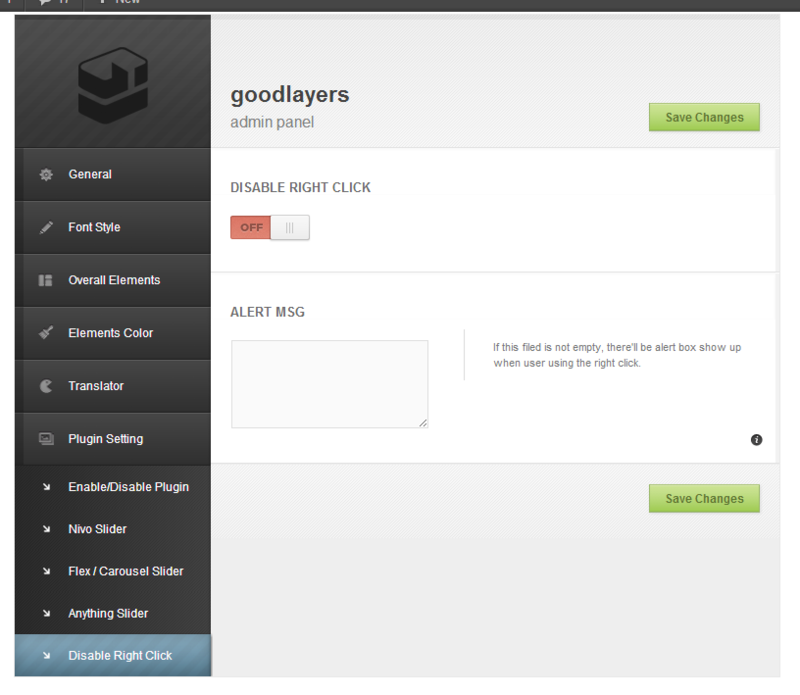 Note that Layer Slider is an external plugin. 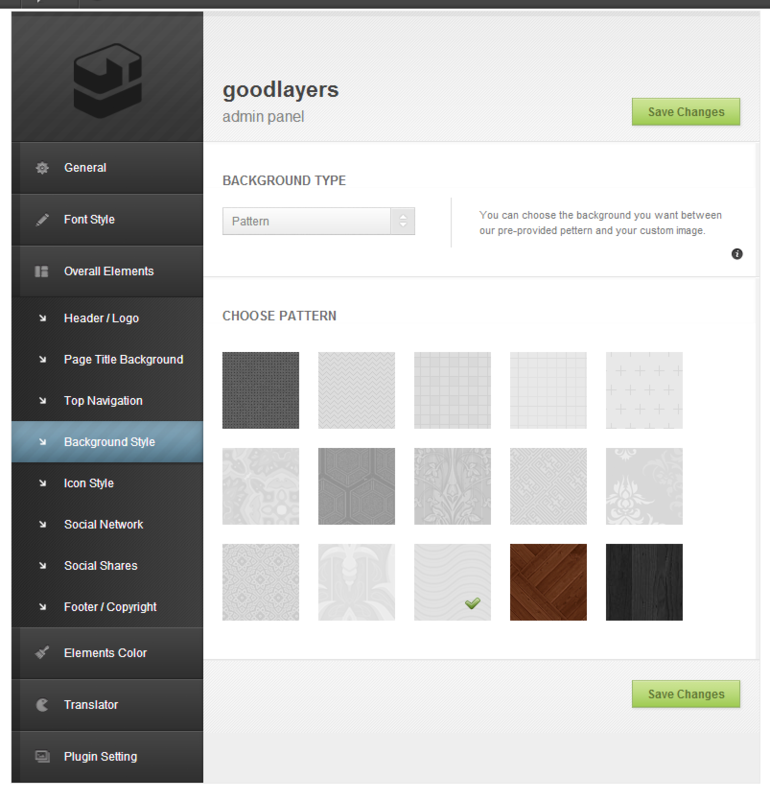 It’s not retina-ready. 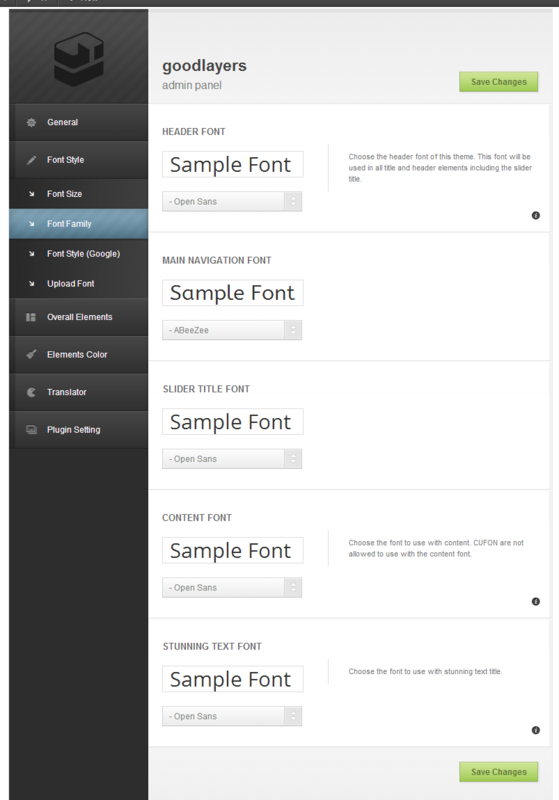 SEOWe reconstructed about how to use title. 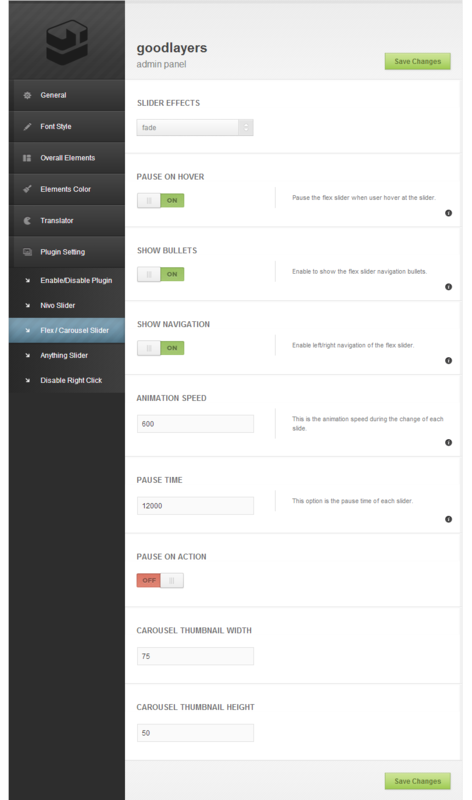 We use heading tag(H1,H2,H3,?) 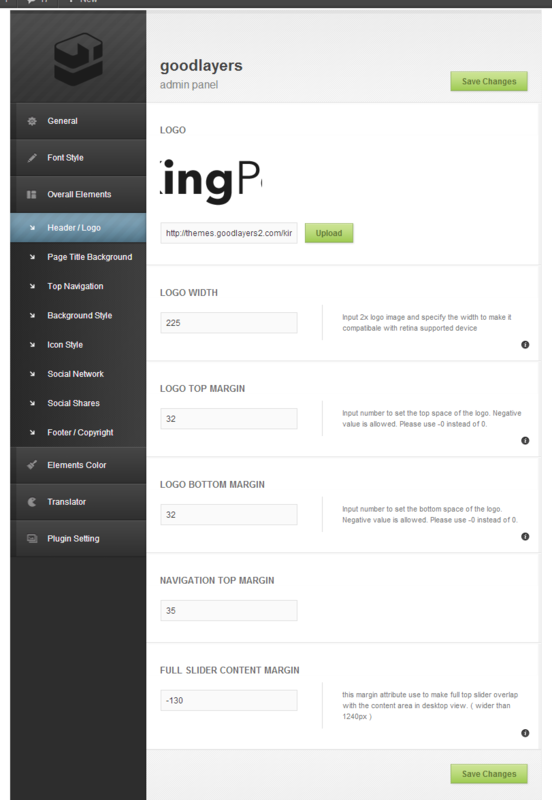 for title which is good practice for search engine site. 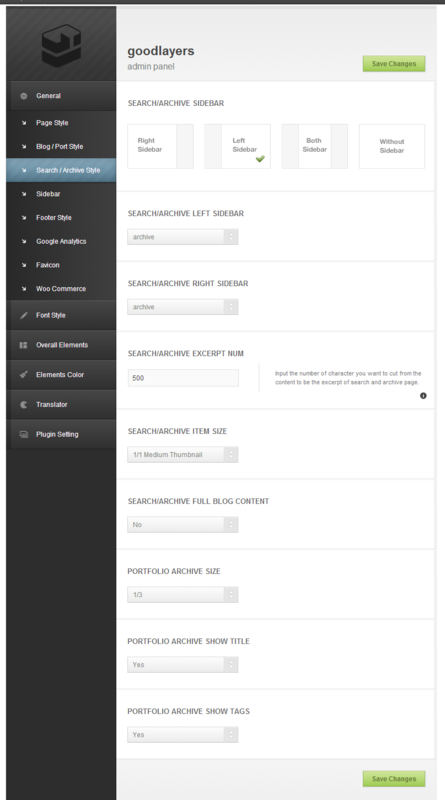 Main contents are moved above sidebars(including both sidebar layout), now search engine will easily fine your main contents first. 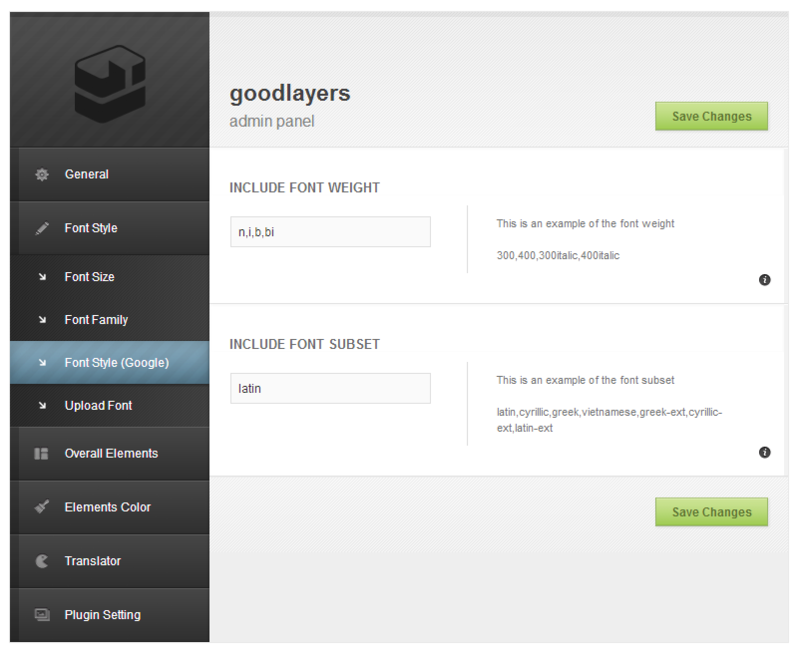 Also, ‘alt’ tag for images is supported. 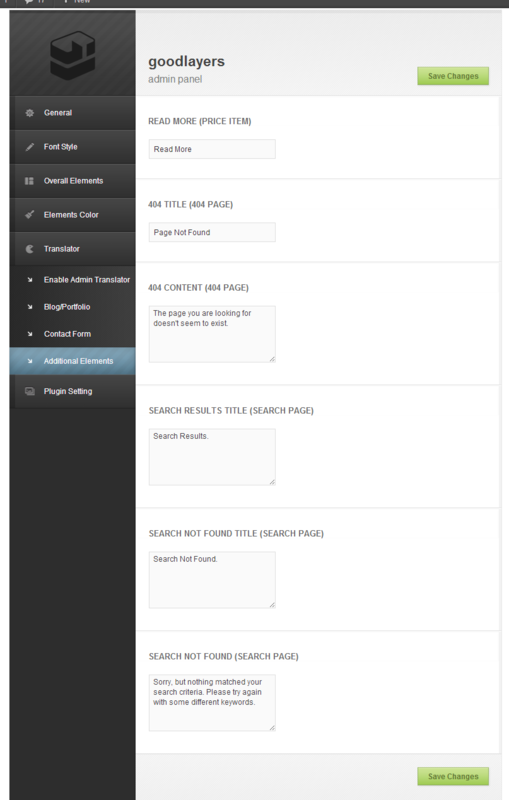 This is also help search engine to analyst your site easily. First of all, Thanks so much for purchased our items We?re really appreciated it and hope you enjoy it! 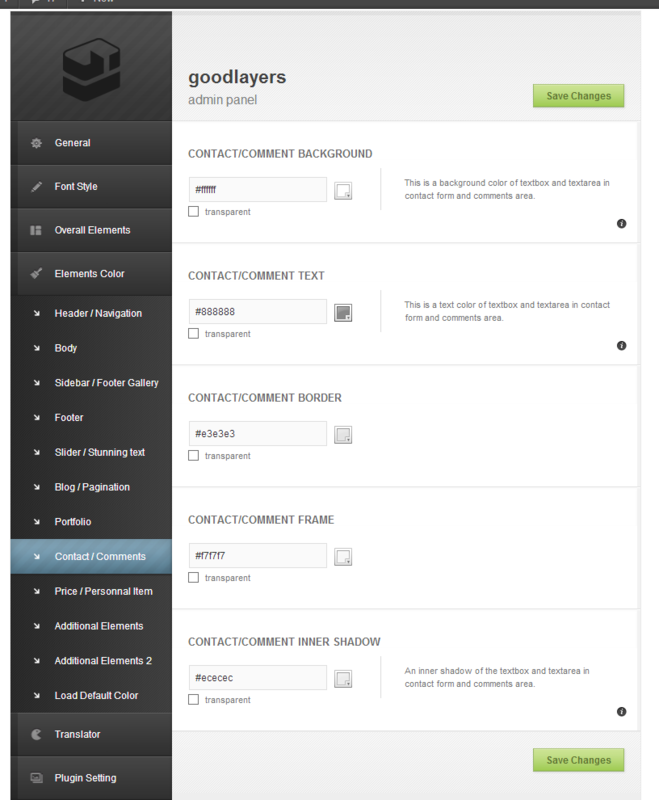 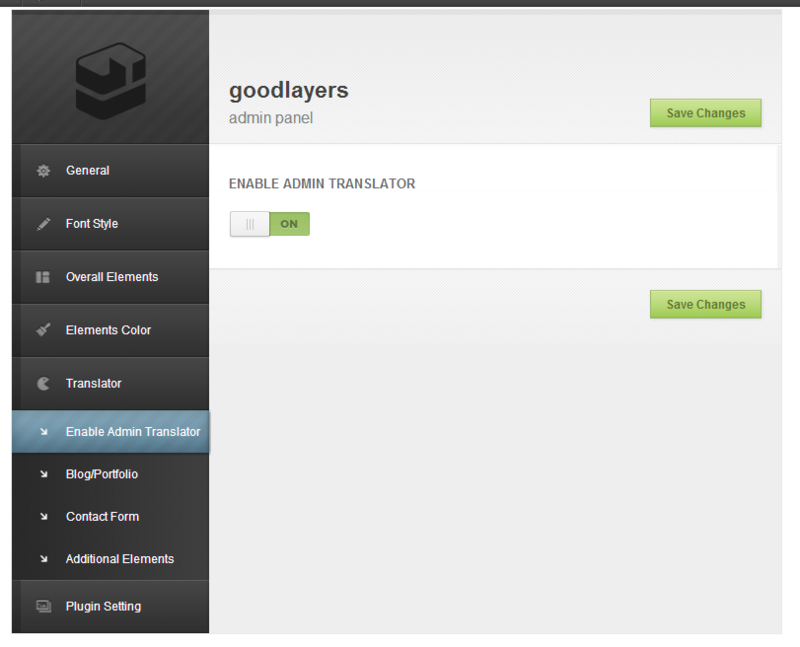 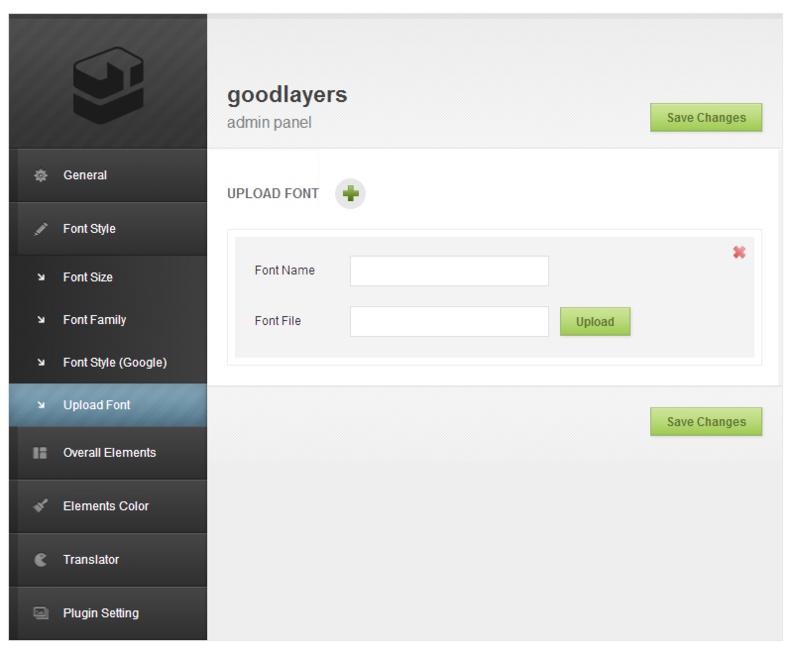 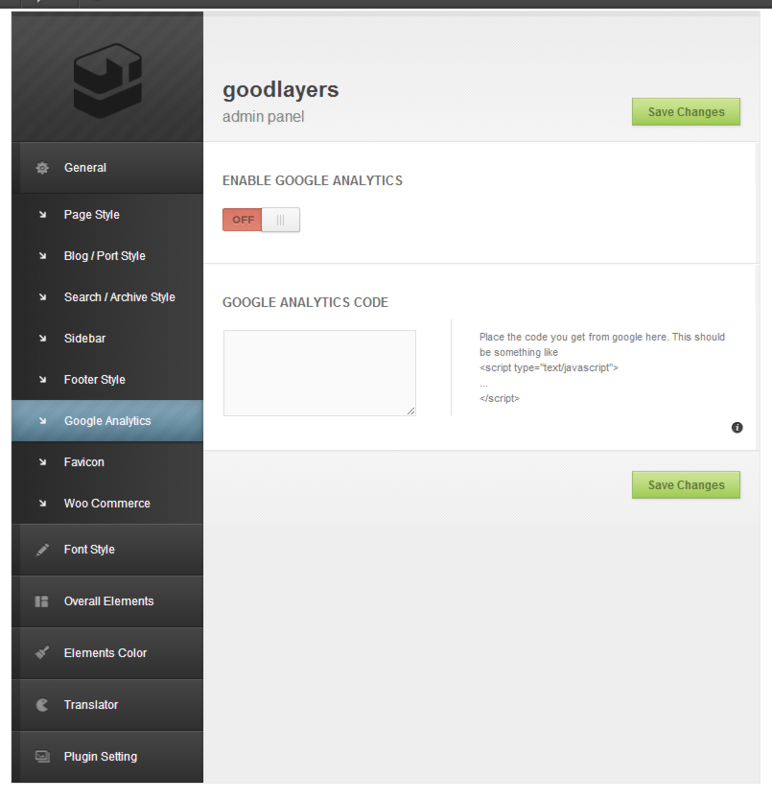 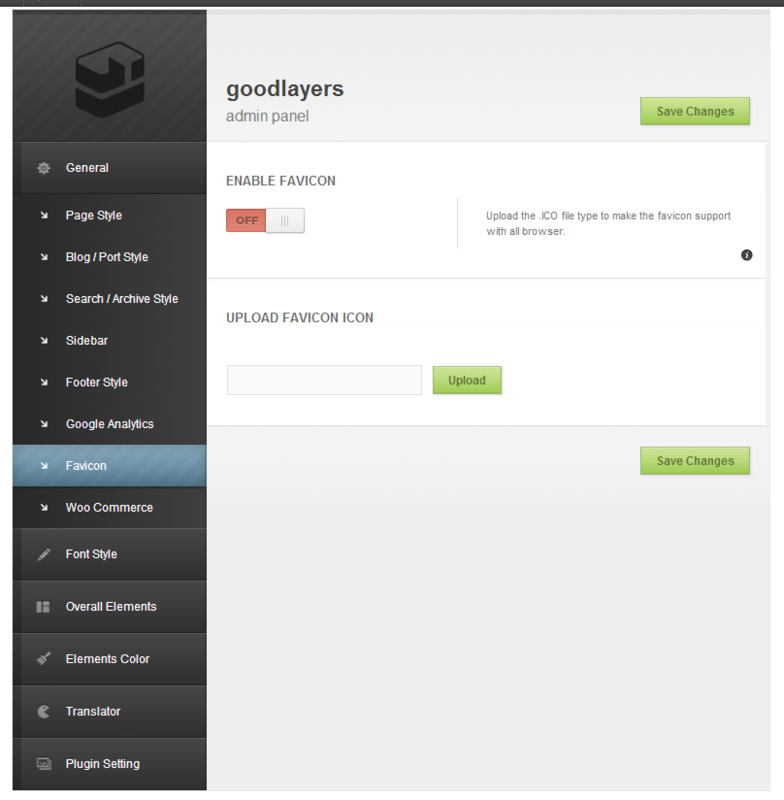 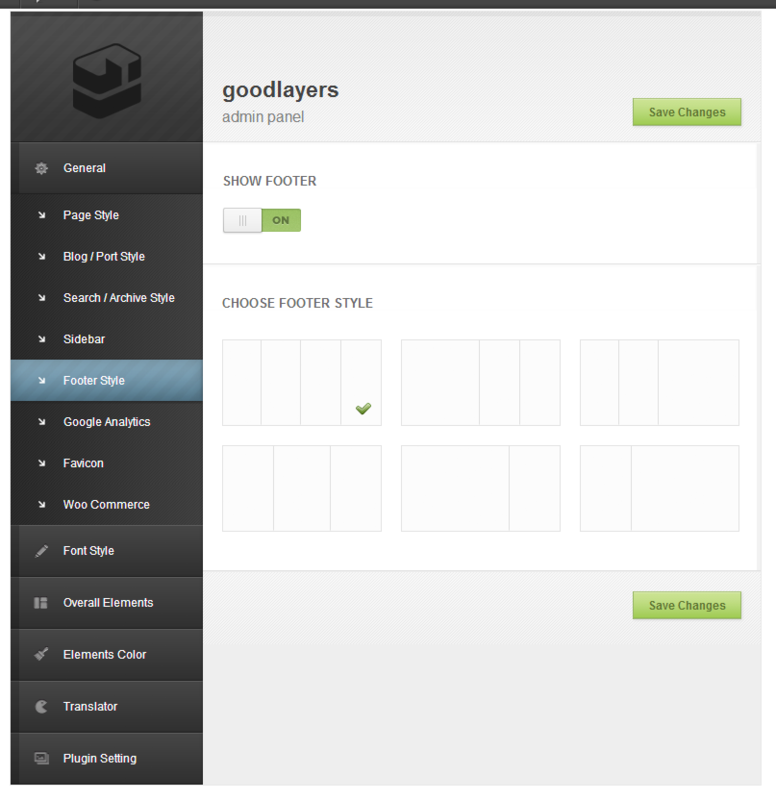 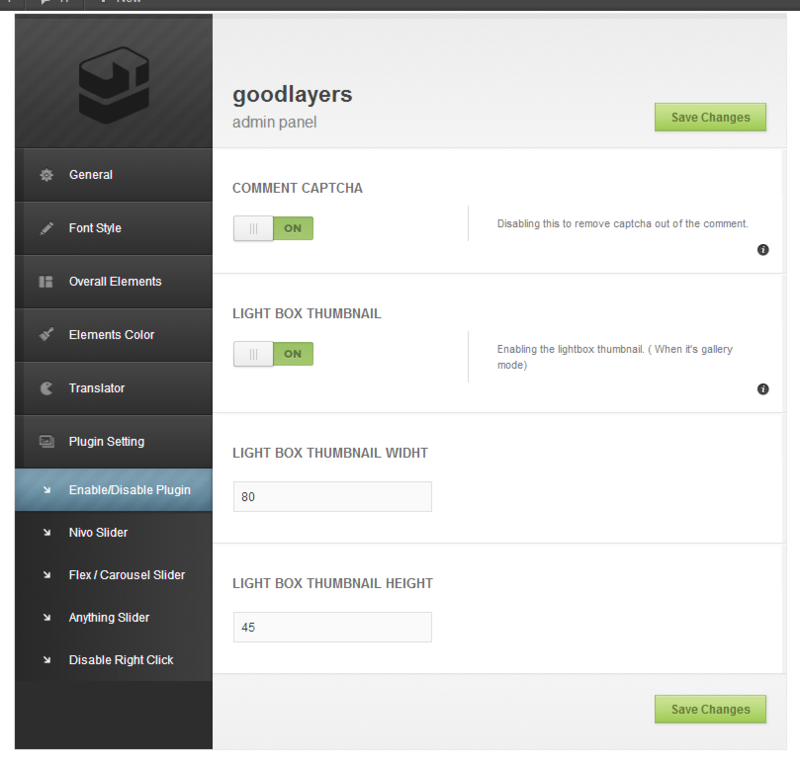 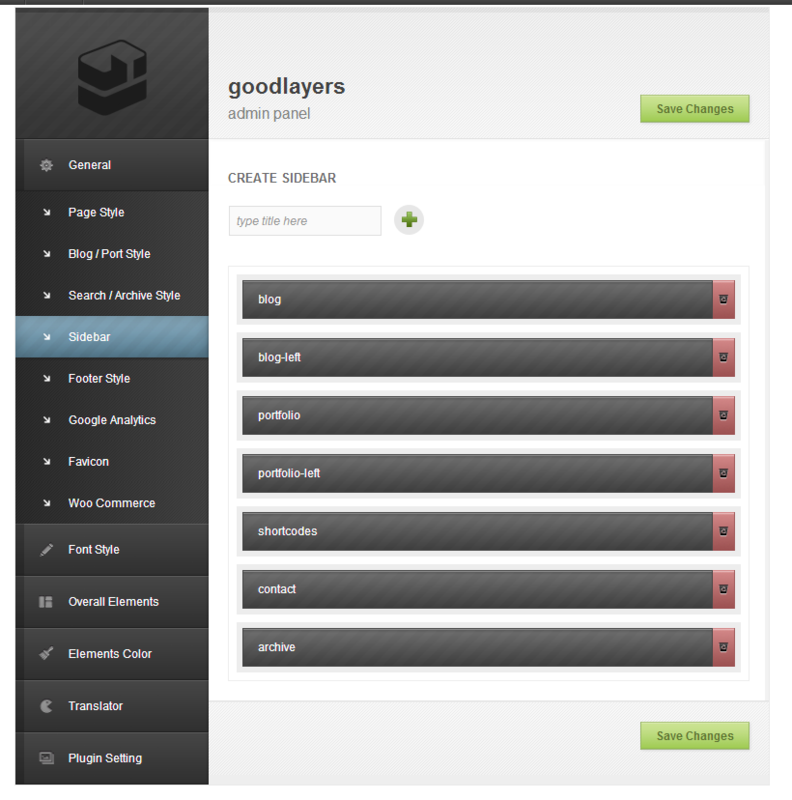 If you need support, all support will be conducted through this website > http://support.goodlayers.com . 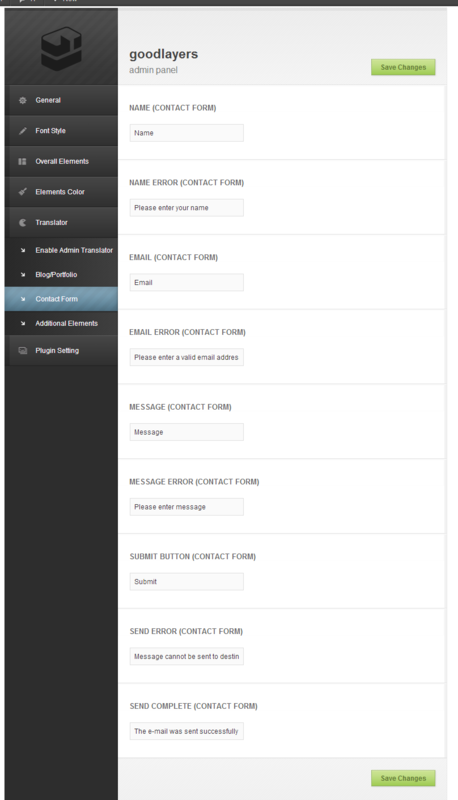 We usually get back to you within 14hours. 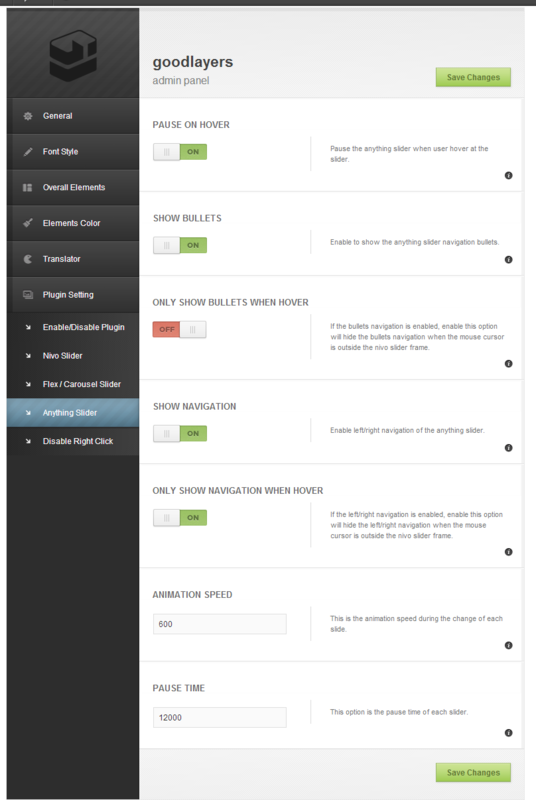 (except holiday seasons which might take longer).